Yellowstone was declared the country’s (and the world’s) first national park in 1872, and by the time the National Park Service (NPS) was established in 1916, the program had grown to include Casa Grande Ruins, Rocky Mountain, Sequoia, and Yosemite, among others. After President Franklin D. Roosevelt reorganized and expanded the NPS in 1933, there were 137 parks and monuments across the country (today, the National Park System includes 417 areas, including the White House)—all of which required, and still require, significant management and planning. The first master plan—a document packed with maps and recommendations for preserving and monitoring a park and the visitor experience—was drawn up in 1929 for Mount Rainier National Park, 369 square miles in Washington state. 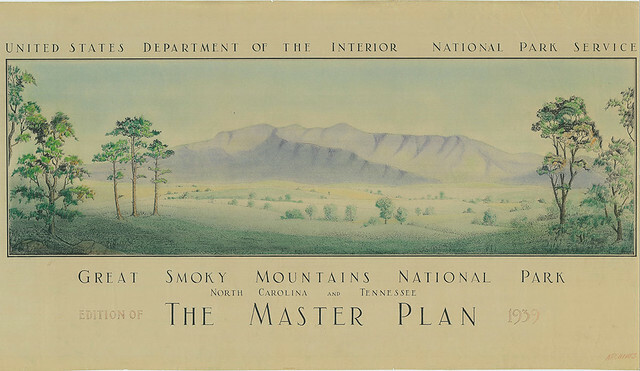 It was created by Thomas Chalmers Vint, landscape architect and, from 1933, Chief of the NPS Branch of Plans and Designs. It served as a kind of blueprint for the plans to come, and included proposals for a new hotel complex and an expansion of the facilities on the south slope of the glacier-covered volcano. As we marvel at the maps, we might recall that it was on this date in 1870 that the members of the Washburn-Langford-Doane Expedition traveled down the Firehole River from the Kepler Cascades and entered the Upper Geyser Basin. 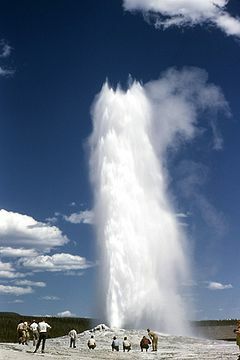 The first geyser they saw that afternoon they named “Old Faithful.” Two years later, the area was officially created as Yellowstone National Park, the nation’s first national park (and some argue, the world’s).